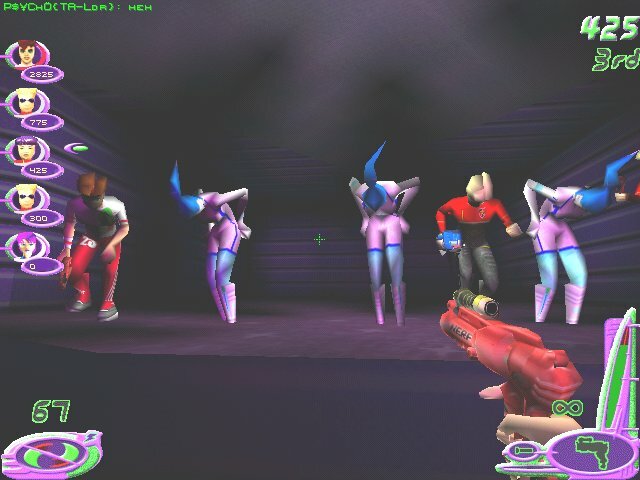 Yes, it's the Dancin' Jamie Triplets in SLAM's Nerf Neighbourhood Beta 4 - and it looks as if a couple of guests in the Luna Nightclub have decided to join them! Well, the music there is very catchy... I suspect that could well have been Mikesmaf on the left, while the "Justin" can be nobody else but TC leader Thunderbird. The way I heard it, he has already managed to single out one of the triplets, and given her his MSN Messenger contact details. He never wastes time, our TB!